Hi crafters! it's time for my Saturday Tutti Designs blog post. 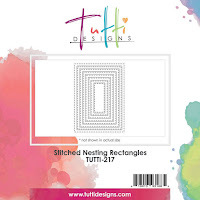 My card today features The Tutti: Stitched Nesting Rectangles and Word Set - Thanks. 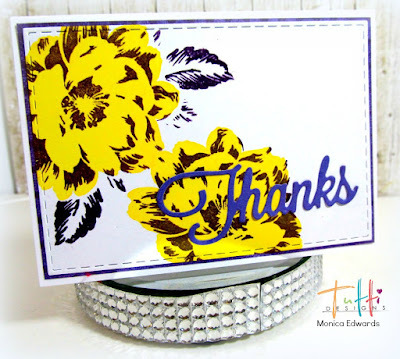 I used a stamp set from Altnew and stamped a flower in Versacolor Canary ink and then overlayed the flower using Versafine Imperial Purple ink. Once I was done I used Stitched Nesting Rectangles and diecut the flowers. For my sentiment I used Word Set - Thanks using purple paper to match the colors in the flower.